High performance dynamics simulations from Algoryx are an essential component in offshore simulators and a key element in the upcoming virtual prototyping area around the globe. Hydrodynamics, highly stable, accurate and fast multi-body dynamics with wire, cable and chain models, geometric overlap generation with dry frictional contacts and much more. Algoryx develops physics simulation software and provides services on top of it. We have many customers which build operator training simulators based on our physics engine AGX Dynamics. We do NOT sell or develop such operator training simulators ourselves, but rather provide the enabling technology. We do not compete with our customers developing operator training simulators, but rather give fair access to core technologies to all customers. The wire model developed by Algoryx and used in AGX Dynamics is streamlined for accuracy, numerical stability and numerical performance and is able to handle almost any mass ratio. AGX Dynamics/Wire has among other applications been utilized in training simulators around the world for almost a decade. The novel approach to adaptive resolution, lumped element wires, enables interactive simulations of large scale wire systems suitable for e.g. cooperative anchor handling-, towing or offshore seismic surveying operations. With just a few parameter changes, the wire model will transform from an easily bendable chain to for example very stiff pipe in pipe laying operations. See also the AGX Dynamics specification. 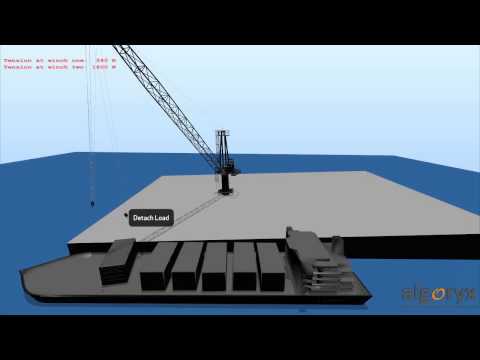 A typical offshore scenario includes heavy lifting operations. AGX Dynamics allow you to model complete systems with elasto-plastic deformations of the crane boom, hydraulics powerline, wires, winches, shackles, containers etc. AGX Dynamics opens the door to testing complete system in a simulator or during a design/prototyping stage to help you obtain a unique selling point towards your current or potential customer. AGX Dynamics can provide accurate simulations of fully operational sites which enables for virtual control system- and automation research test facilities – completely free from the danger of human and material damages! Because of the accuracy and realism of AGX Dynamics you can trust the dynamic information from the simulation and integrate your own control system for complete system tests. Simulation in the loop can even allow you to utilize AGX Dynamics inside your control loop. 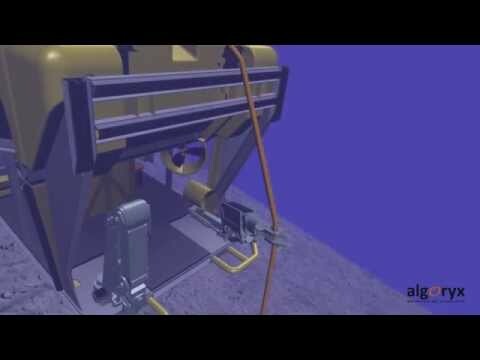 A typical scenario involving Remotely Operated Underwater Vehicles (ROVs) includes long wires, flexible cables, cranes, heavy loads as well as high fidelity contact operations. With AGX Dynamics you can model these scenarios and rely on the performance and accuracy of the physics engine to deliver outstanding results. AGX Dynamics is already a proven technology within this scope. Our customers are building scenarios involving heavy lifting from offshore cranes together with ROV’s inspecting and performing remote operations such as valve interaction, gripping cables etc. 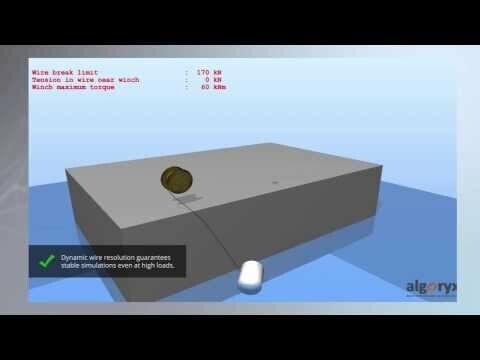 AGX Dynamics Hydrodynamics module computes the pressure fields of arbitrarily shaped submerged objects. Properties like drag, lift, added mass, and buoyancy are all calculated for these objects making it easy for users to add new types or change the geometry of existing objects. We’re experienced with customers having their own or an externally developed hydrodynamics toolkit used to simulate crucial objects, like a ship or an oil rig. To meet this demand, AGX Dynamics has numerous essential features to support co-simulation with external hydrodynamics libraries, for example added (dressed) mass and inhomogeneous mass and inertia.